There are a lot of great lenses, especially zooms, designed in the days of the Academy format, that have been relegated to back shelves when Super 35 and larger sensor cameras came out. Despair no more; dust off your venerable Angénieux and Cooke classics. Ken Robings’ digitaloptik introduced a new 1.21x PL-to-PL extender at NAB. It takes zoom lenses designed for Academy format 28 mm image circle (pre-Super 35) and gives them new life by expanding the image circle to more than 34 mm diagonal, with only a little over ½ stop light loss. RED’s Epic Dragon sensor is amply covered. This is a multi-coated, new optical design optimized for digital cinema sensors and the next generation of digital cinema cameras. It is not a repackaged existing extender. The first batch of extenders will be delivered in August. 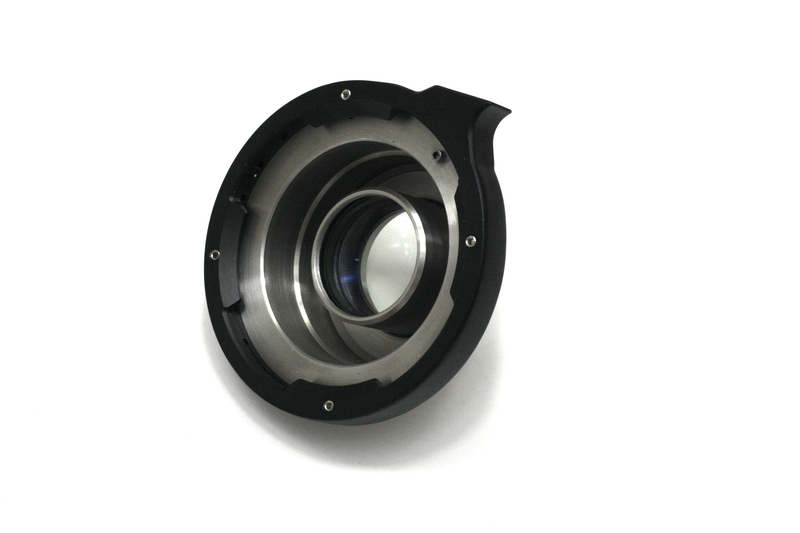 Located in Hollywood, digitaloptik also make lens mounts, including BNCR and Leica R, for RED Scarlet/Epic and Sony F3, F5 and F55 cameras. They update B&L Baltars, Super Baltars, and some Eclair mount, Angenieux and Kinoptic lenses to PL mounts for digital cinema cameras.